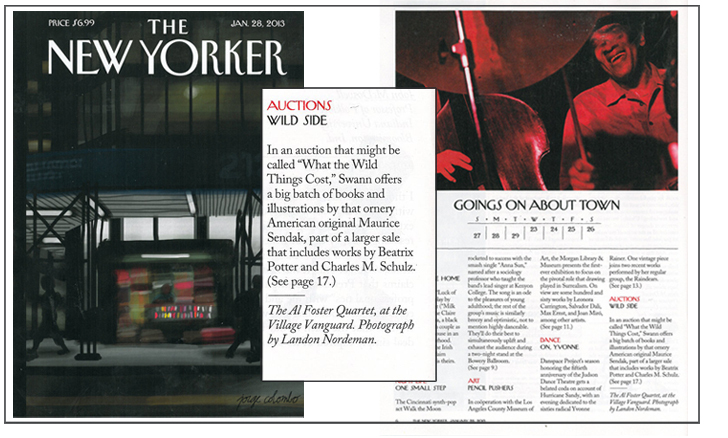 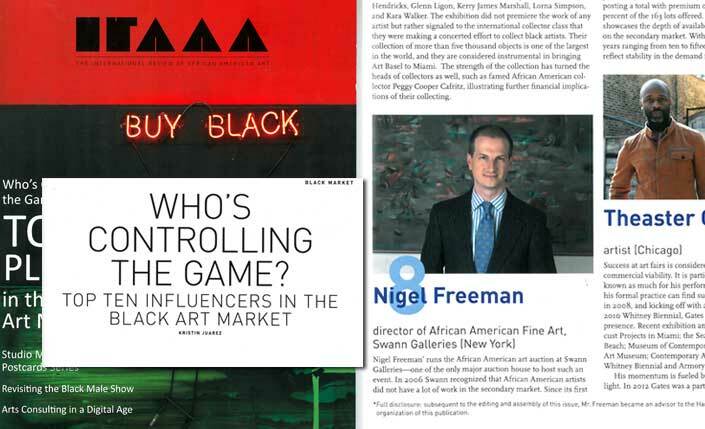 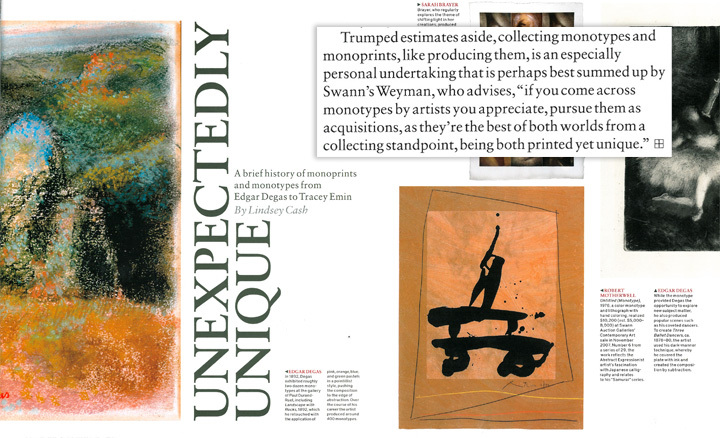 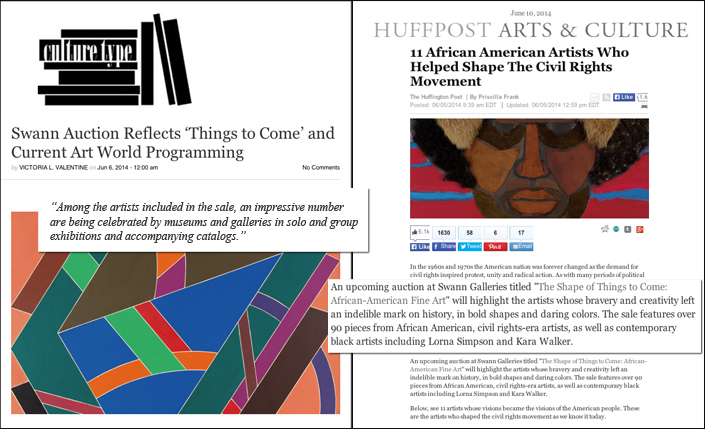 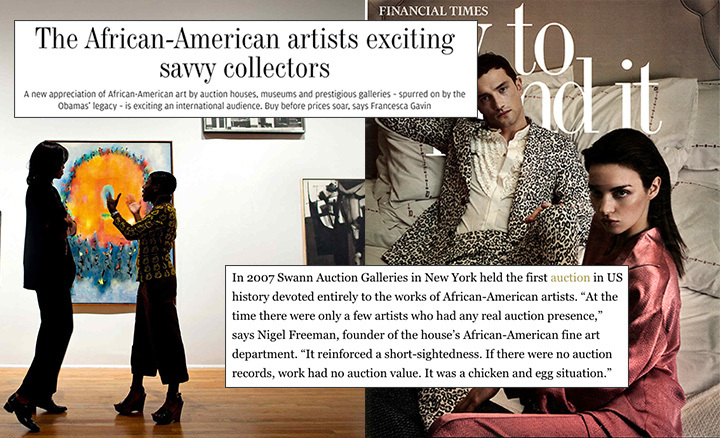 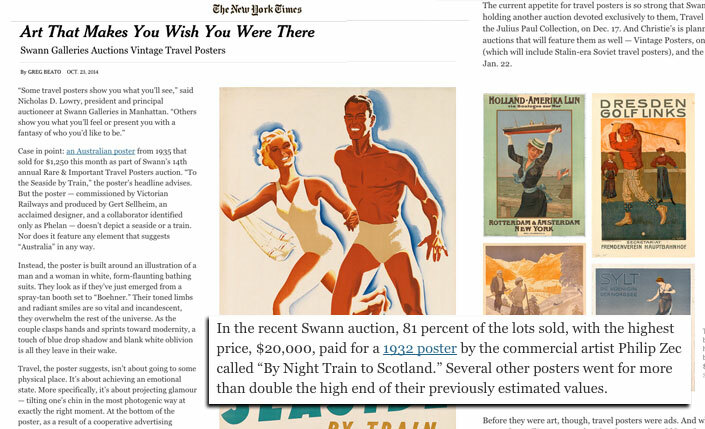 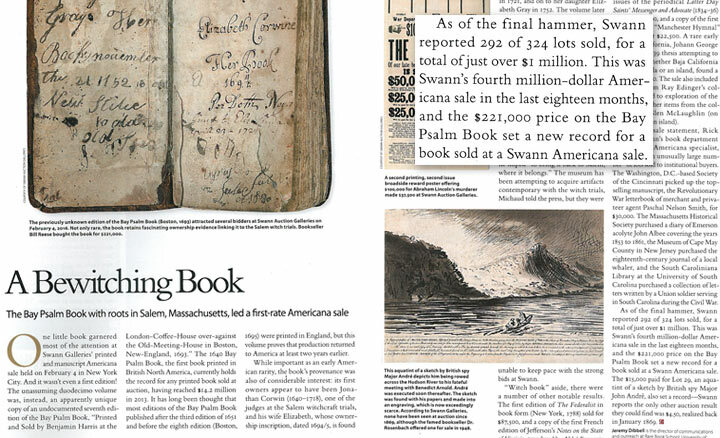 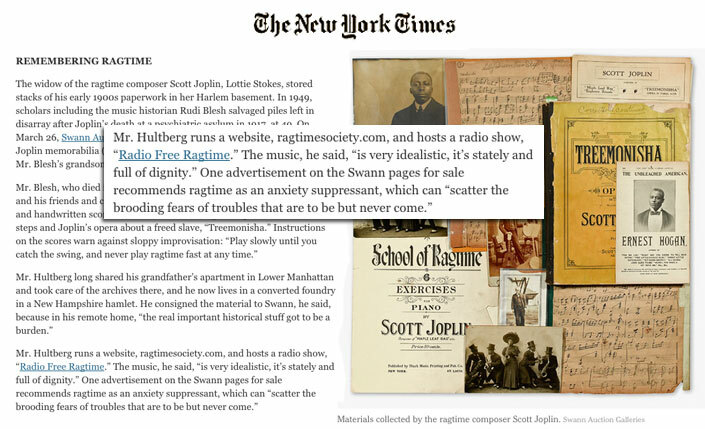 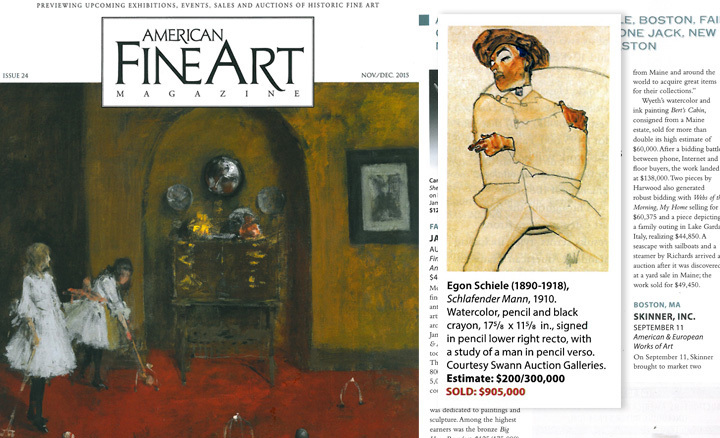 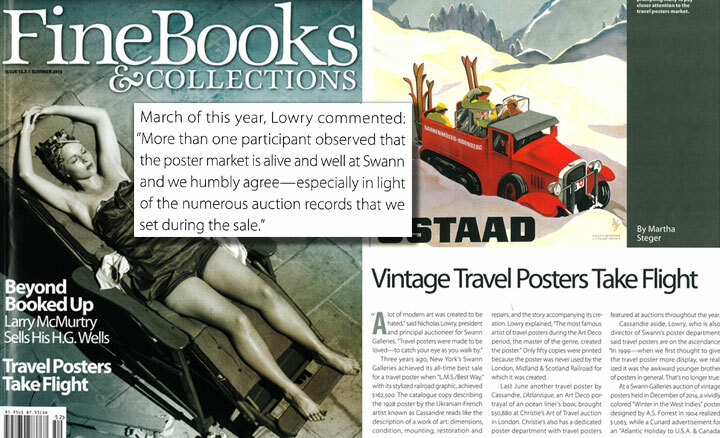 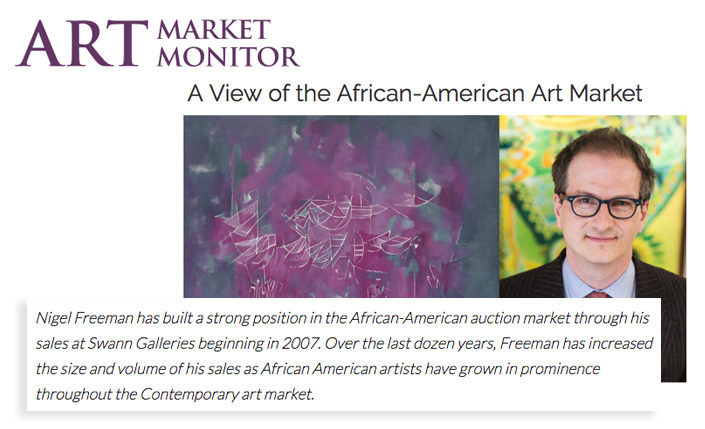 Swann's June 10 auction of African-American Fine Art received significant coverage, including a blog post on Culture Type and a story in the HuffPost. 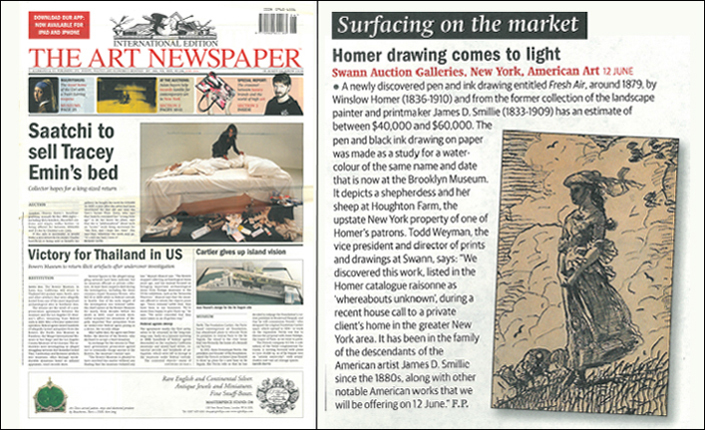 A newly discovered pen and ink drawing entitled "Fresh Air", around 1879, by Winslow Homer (1836-1910) and from the former collection of the landscape painter and printmaker James D. Smillie (1833-1909) has an estimate of between $40,000 and $60,000. 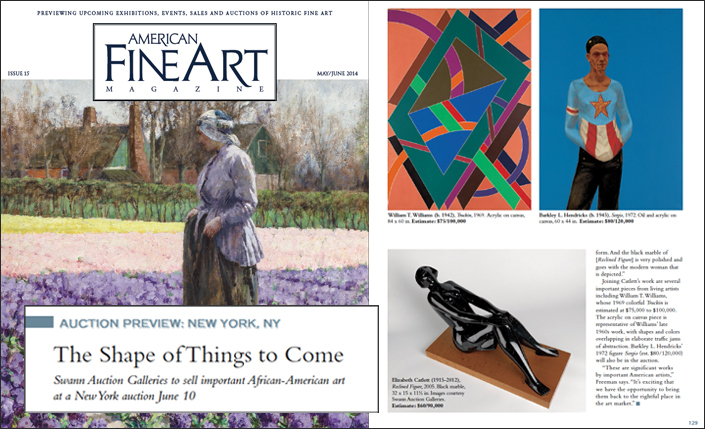 Offering a number of unique and rare pieces, Swann Auction Galleries' next African-American art sale is set to be a highlight of the summer auction season with major pieces by a variety of artists, including two lots by the politically-conscious, modern sculptor and printermaker Elizabeth Catlett (1915-2012). 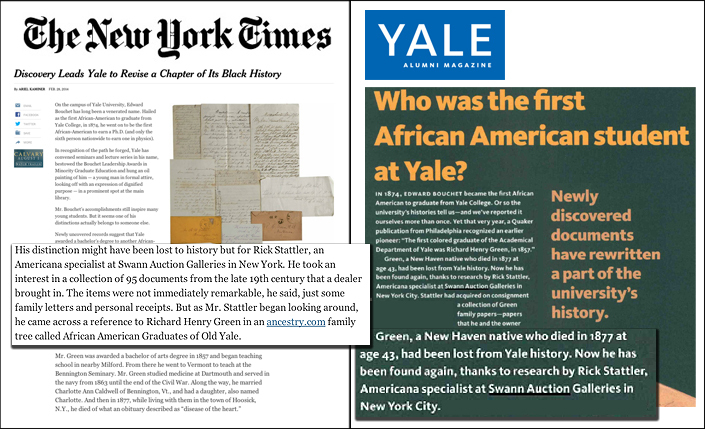 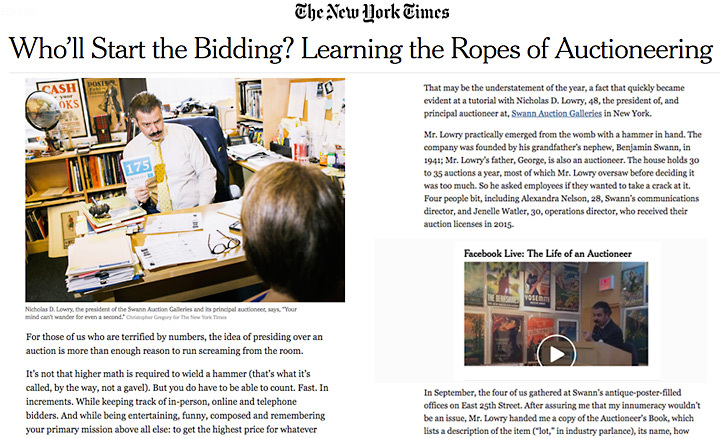 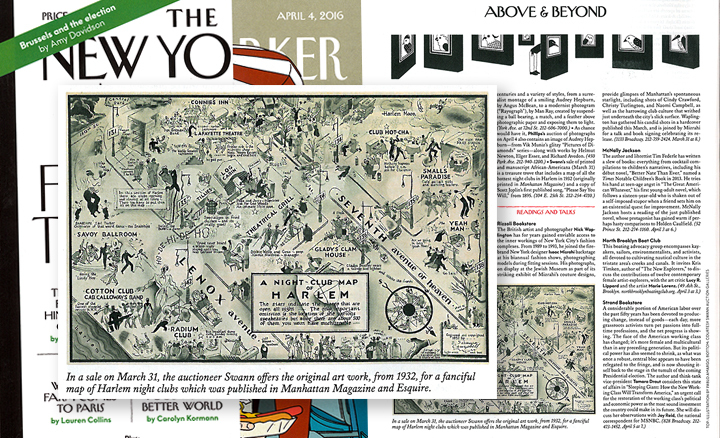 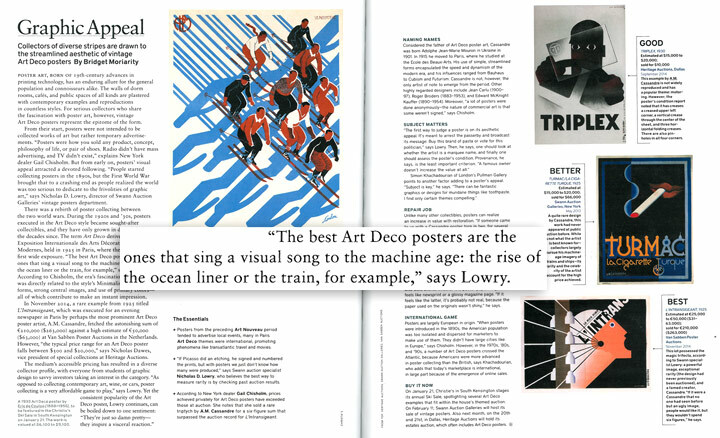 Fantastic coverage of the research work done by Rick Stattler in the New York Times and the Yale Alumni Magazine. 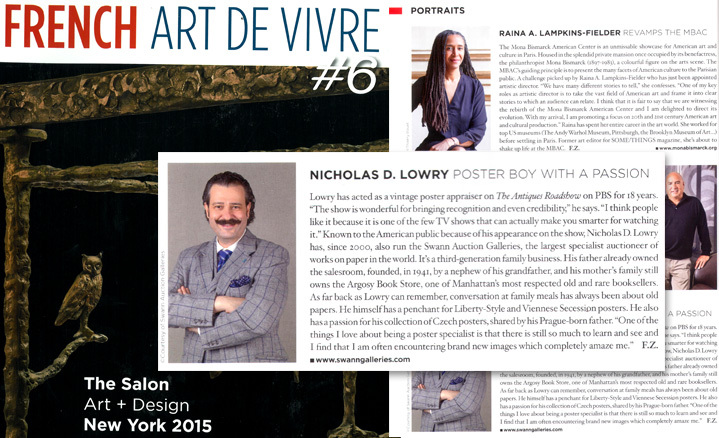 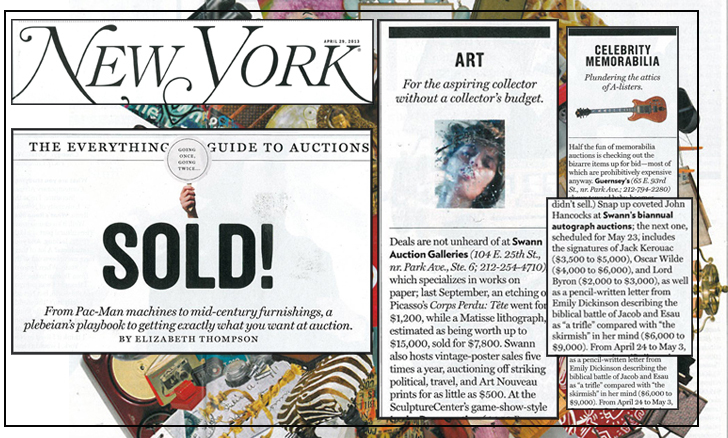 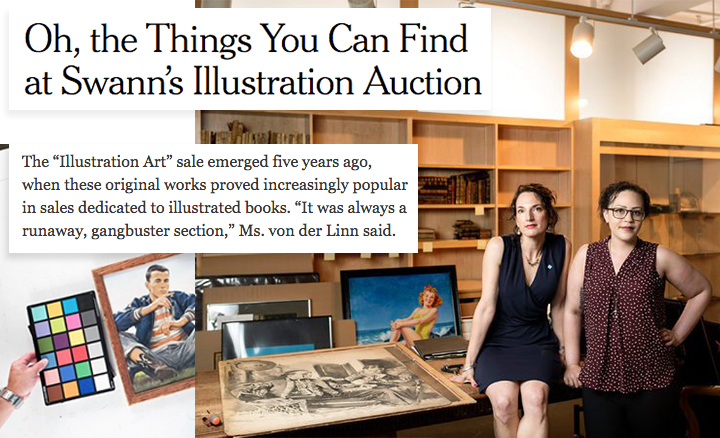 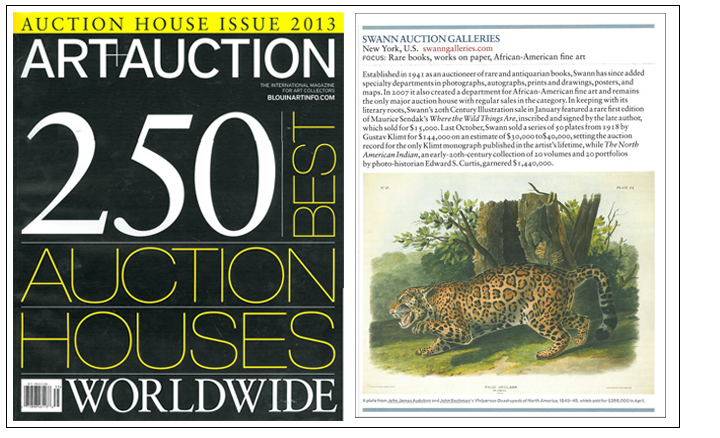 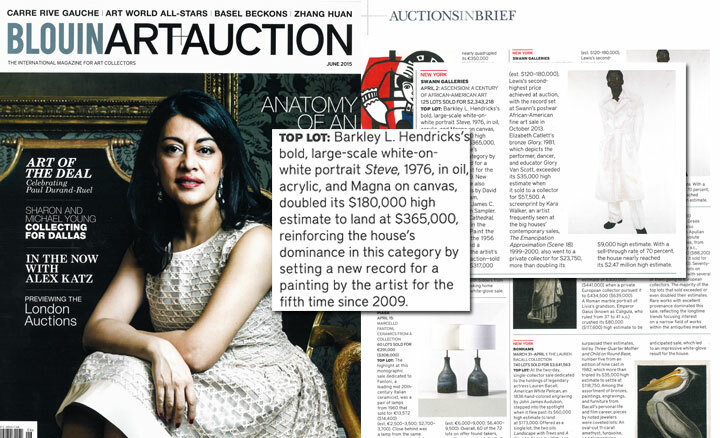 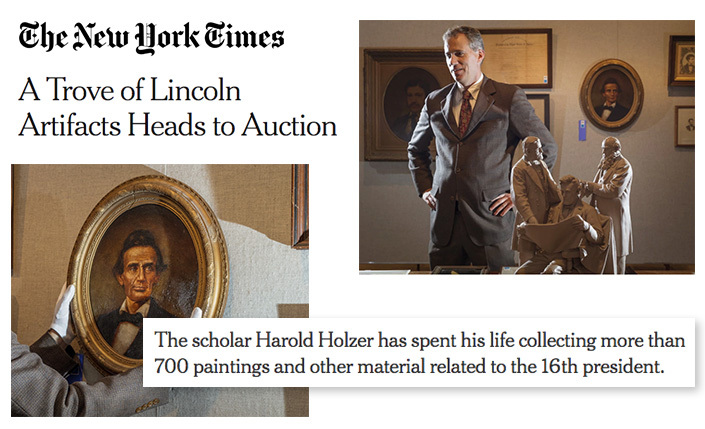 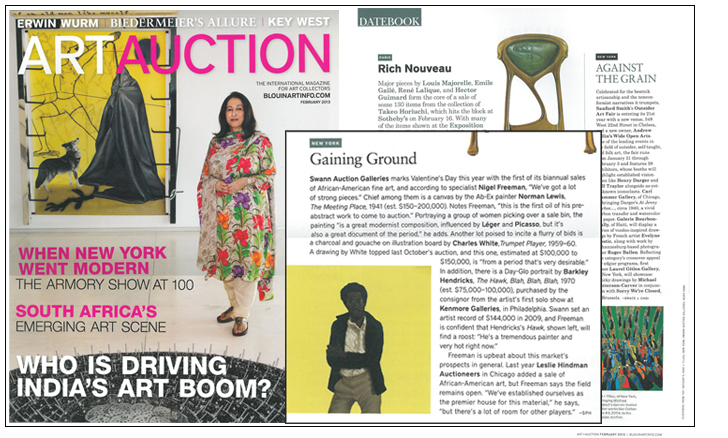 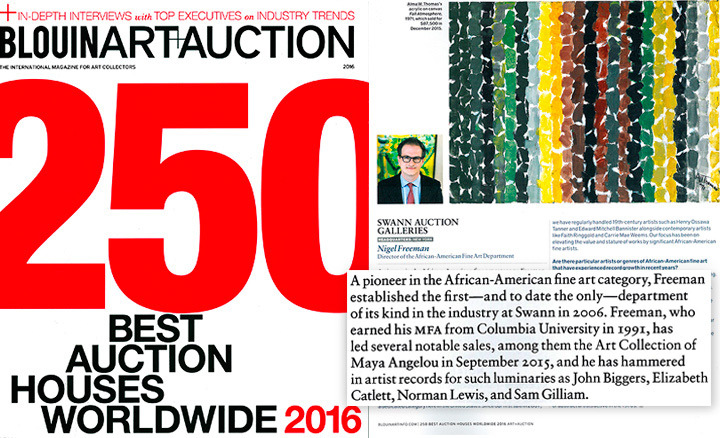 Blouin Media's special Coverage on the world's top 250 Auction Houses. 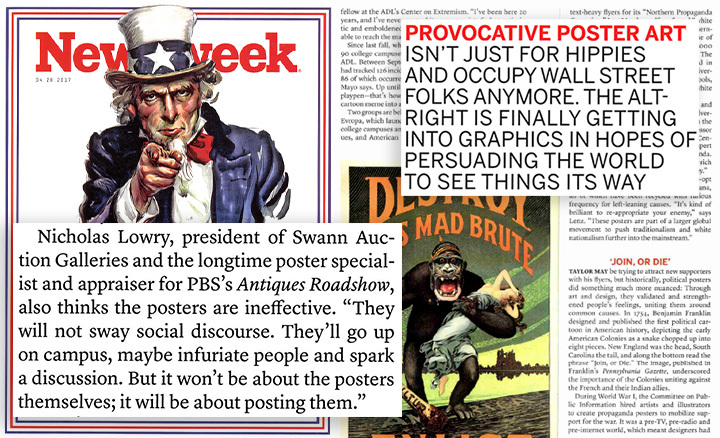 These posters, which lampoon Nazi leaders whose physical attributes don’t match their exalted rhetoric about the “Aryan race,” were originally illustrated by the Russian artist Boris Efimov and distributed through the TASS News Agency’s poster studio. 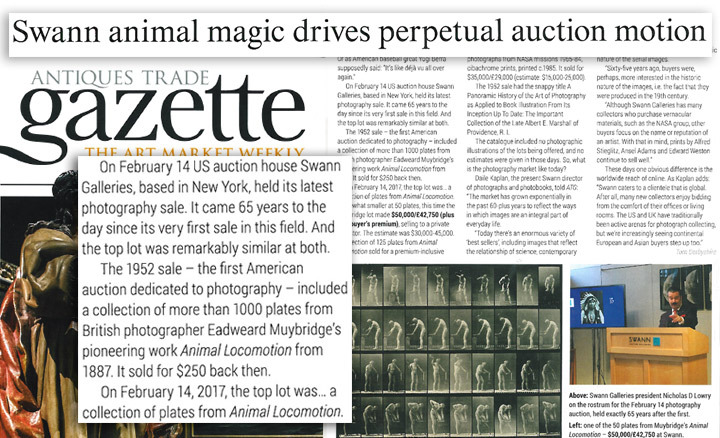 From Pac-Man machines to mid-century furnishings, a plebeian’s playbook to getting exactly what you want at auction. 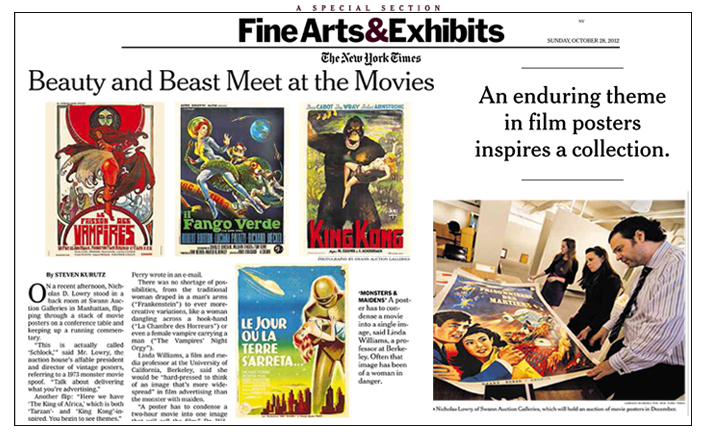 “Monsters & Maidens: A Film Poster Collection,” which is being auctioned by Swann on Dec. 18, collects around 150 such posters with the common image of a beautiful, often helpless woman in the arms of a beast (or robot or sea creature or man).